Mini straw bag of woven palm leave. H20x W35x D20 cm. Authenic and handmade in Morocco. Children's backpack. H 25 cm x W 20 cm. Easy to wipe clean. Made of recycle plastic bottles. Children's backpack. Vintage Traffic. With cars, boats, planes and more traffic. Children's backpack. Recycled plastic. Type: Petite Rose. Lighthouse trading. Children's backpack. Blue with Vintage Worldmap. Rex London. Children's backpack. H25 cm x B 20 cm. Woodland. Lighthouse trading. Travel bag Traffic in blue-red-green for boys or Happy in pink-red for girls. Fair trade for Global Affairs. Swimbag or gymbag in pink and orange. 40 L x 22 D cm. Fair trade by Global Affairs. Swimbag or sportsbag in blue with green. Fair trade by Global Affairs. Waterproof swimbag or gym bag in green with blue. Fair trade by Global Affairs. Waterproof swimbag or gym bag in pink-orange. Length 40 cm. Fair trade by Global Affairs. Gymbag in yellow with crocodile print. 37 x 32 cm. Cotton bag with cord. Gymbag in blue, green or yellow with animalprint. 37 x 32 cm. Cotton bag with cord. Felt girls bag. Shoulderbag. Size: 35 x 27 x 15 cm. Pink. Available in different trendy colours. Pencase happy or Trafiic, for boys and girls. Fairtrade by Global Affairs. Girls' cotton scarf with bright embroidery. 100 x 29 cm. Fairtrade by Global Affairs. Hairclips Birdy. In pink and blue felt on blue metal clip. Fairtrade from India. Key hanger. Crochet heart. 4,5 cm. Girl necklace and bracelet with wooden balls and beads.. Colours: orange, yellow and pink. Fairtrade from Global Affairs. 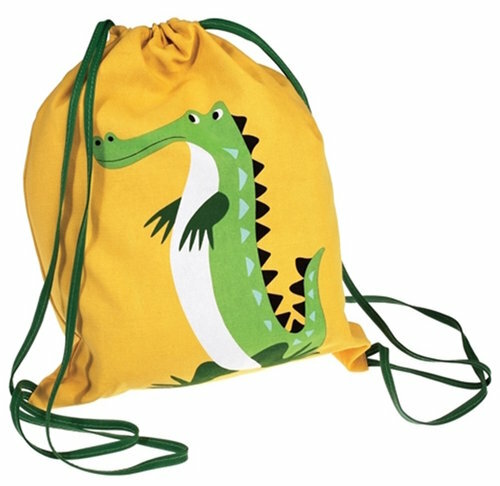 Children's storage bag from recycled plastic bottles. Tiger. 12 x 23 x 20 cm. In many colourful designs. 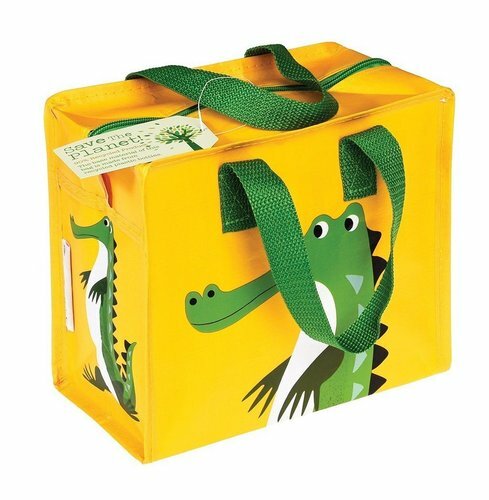 Children's storage bag from recycled plastic bottles. Crocodile. 12 x 23 x 20 cm. In many colourful designs. 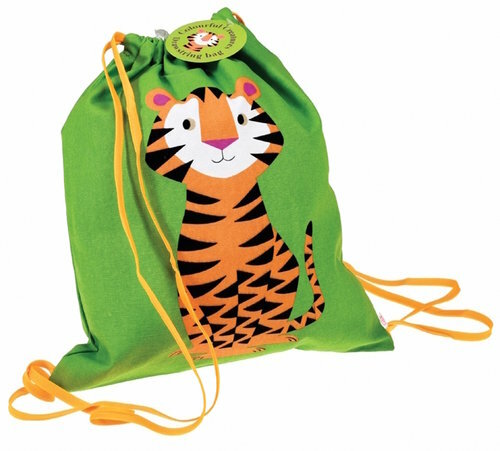 Children's storage bag from recycled plastic bottles. 12 x 23 x 20 cm. In many colourful designs. 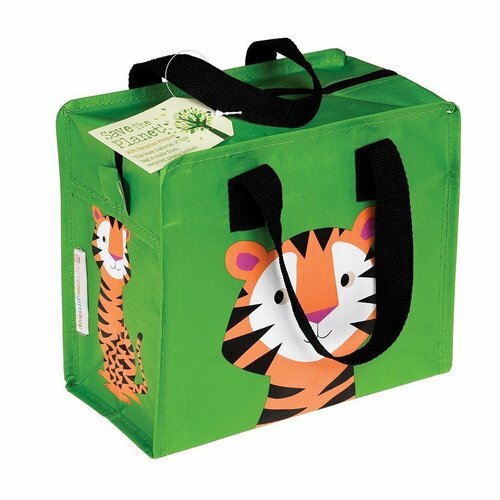 Children's storage bag from recycled plastic bottles.